I almost didn’t write this article, it seems there is already so much information about occult symbology on the Internet. But there is more to it than just showing you a pentagram, or the symbol for the All Seeing Eye. All of us carry that symbol in our wallets and purses. Interestingly, most people never give it a thought–after all, isn’t that symbol synonymous with the United States of America? Unfortunately, yes it is. The All Seeing Eye, also known as the Eye of Providence, was adopted as part of the symbolism on the reverse side of the Great Seal of the United States in 1782. The All Seeing Eye and unfinished pyramid were later placed on the dollar bill in 1935 during the Roosevelt administration. But the occult symbology of the New World Order goes way beyond the simple Eye of Providence on the dollar bill. It goes far beyond that because the United States of America, so mesmerized with A-musements (without thought), and entertainments, has graduated into full-blown Satanism. 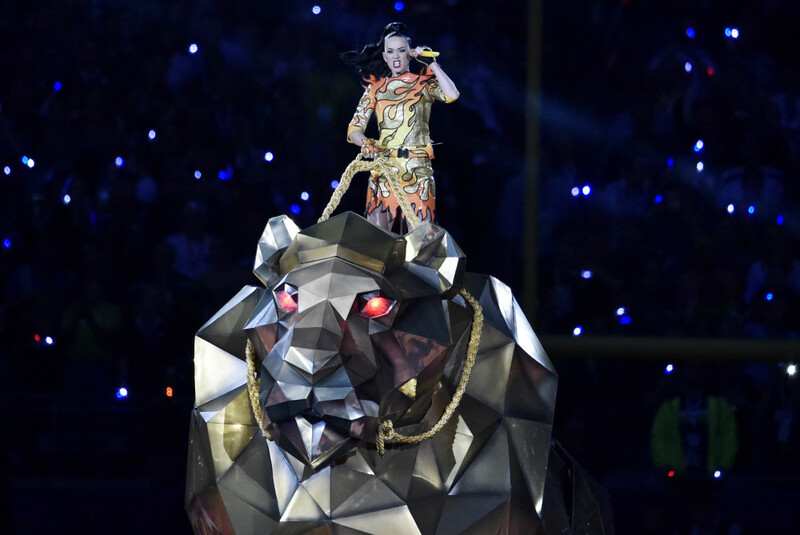 In my last post I briefly discussed the symbolic meaning behind the Katy Perry half-time show for the Super Bowl. It is possible that the Hidden Elite are showing the world their hand–I believe they have laid their cards on the table and revealed that we are now moving into the World Order of the Beast. It is very possible that now they consider the world in the Beast System. If that is true, then we may be living in a precursor to the full revelation of Babylon the Great, the last days world empire of the book of Revelation (chapters 17-18). It should also be noted here that February 1st is Groundhog Day, the beast linked with the Earth Mother, and the symbol of birth: either exiting, or reentering the Earth, only to be revealed later. Depicted as such then, the implication is that the Hidden/Occult Elites are sending a signal that the Beast system is either here, born before the eyes of the world (under the Eye of Providence), or revealed, then hidden (like the Groundhog; only to be fully realized later) with their depiction of a woman riding a beast of the wild (linked with the Greek Artemis and the Roman Diana), a lion. Be sober, be vigilant; because your adversary the devil, as a roaring lion, walketh about, seeking whom he may devour: Whom resist stedfast in the faith, knowing that the same afflictions are accomplished in your brethren that are in the world (1 Peter 5:8-9). I don’t know about you, but the symbolic meaning is clear. It is my opinion that Madonna is the center of satanic ritual worship in this performance. The illuminated goddess, who at the end of her performance, is hoisted up on a cable, with her body bending backward, like a ritual sacrifice, a sacrifice, not only to the beasts she is surrounded by, men with animal (bull horns), but to the Beast system itself. I just can’t elaborate on this more than I have right now, the spiritual battle is just to great; just suffice it to say that this was more than a performance for entertainment–it was a fully developed satanic ritual; and the unfortunate thing I must point out is that those who imbibed of this, also participated in ritual satanic worship–a woman, could I say the embodiment of goddess worship, sacrificed to the BEASTS of the Earth, to bring forth, the BEAST FROM THE ABYSS. The beast that thou sawest was, and is not; and shall ascend out of the bottomless pit, and go into perdition: and they that dwell on the earth shall wonder, whose names were not written in the book of life from the foundation of the world, when they behold the beast that was, and is not, and yet is (Revelation 17:8). I will leave you on this post with a few additional thoughts. The word bottomless pit is derived from the Greek words abyssos phrear, which is also translated as abyss. It is found in the Bible (KJV) nine times in seven verses: Revelation 9:1, 2, 11; 11:7; 17:8; 20:1, 3. And what about the other woman–the woman who rode the Beast at the Super Bowl. Oh, she was also at the Grammy Awards. Just look at the picture, no need to elaborate. If you would like to learn more about the coming Beast System, then I recommend that you might get a copy of my book, Alien Antichrist, The Terrifying Truth about UFOs and Aliens, Antichrist, and the End of Days. You can get a copy at Amazon or Barnes and Noble. If you should have any questions or comments please feel free to email me at jeffwingo@alienantichrist.net . Let me know what you think about the book, and the articles here on the blog. The book has gotten several good reviews in both the United States and Great Britain. 5. Strong’s G12 – abyssos; Strong’s G5421 – phrear. Please note: all pictures belong to their respective copyright holders and are only used here under Fair Use, in the United States, for educational and purposes of discussion only. Hey Jeff – a question. What are your thoughts on the events that may take place this year and in 2016 – namely a meteorite hitting the earth? Been hearing and reading about this and the news media and scientists are being quiet on the subject. And how does/or do these events have to do with any end time events? Enjoying your writings. I appreciate those time we met for breakfast. I learned a lot from you concerning the end times. p.s. Just to let you know Libby and I are serving the Lord here in ———- I’m teaching Agriculture to missionaries at Equip International (http://www.equipinternational.org) . Hello Wes, good to hear from you, and congrats on your new position teaching missionaries. Just so you will know, I did edit out your current location you had written, just for your own privacy. As far a predictions go, I can only speculate, as I am not a prophet, nor in the prediction business. But I can tell you that the Bible does predict that a massive meteor or asteroid will hit the Earth during the Tribulation. “And the third angel sounded, and there fell a great star from heaven, burning as it were a lamp, and it fell upon the third part of the rivers, and upon the fountains of waters; And the name of the star is called Wormwood: and the third part of the waters became wormwood; and many men died of the waters, because they were made bitter” (Revelation 8:10-11). Now, the question remains, is this an actual meteor, or asteroid, or is it a fallen being of some type. The Bible calls the angels stars as well at times in the text. e.g. Job 38:7. Wormwood is the Greek word apsinthion (Strong’s G894) which means “bitter.” Whatever it is it will be a bitter trial for all of us when it does hit. As far as politics, it is obvious that we are ramping up for more endless wars and conflicts. The United States has become the military police of the world at the terrible expense of our young men and women in the Armed Forces, and the American taxpayer, which includes us all. Funny how Ebola went away after the election isn’t it? The New World Order will continue is insidious control over the minds of the American people and the world through the Media Empire they control. Most people have no idea that their minds are being shaped by the satanic forces that they allow to feed through their mobile devices, computers, TV and cable entertainment. The Grammys and the Super Bowl are an example. Most of the entertainment people watch is not fit for consumption by anyone–but people want it, pay for it, and so the monster moves on. 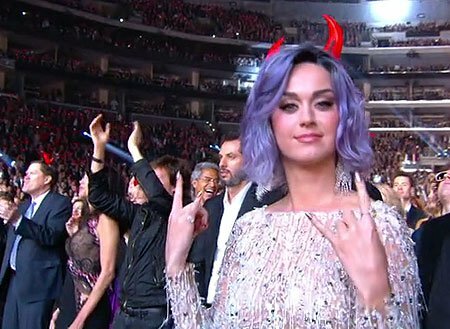 Mind control will be increasing as we move forward, of that I am convinced, it is what will drive the Image of the Beast, and the occult initiation that everyone saw at both the Grammys and the Super Bowl. Keep the faith brother, and I appreciate your comments, and will pray for your success in your new endeavor.